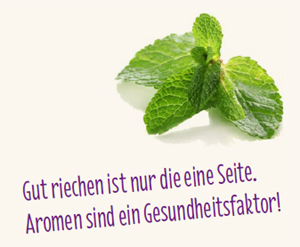 Die Aromapflege ist eine anerkannte komplementäre Methode der Kranken- und Gesundheitspflege. Sie dient der Unterstützung von Wohlbefinden und Entspannung, zur Körperhygiene, Verbesserung der Atmung, Verdauung und Ausscheidung sowie der Schaffung eines angenehmen Raumklimas. Alle VAGA-zertifizierten Aromapflege-Fachkräfte haben eine Aromapflege-Ausbildung nach § 64 Gesunden- und Krankenpflegegesetz absolviert. In the clinical context, aroma care means the use of essential oils, aroma care products and hydrolates to complement the patient’s recovery process and to trigger a sense of well-being. The broad spectrum of applications ranges from aroma baths (e. g. also as a supplement to basal stimulation), inhalations, room scents to embrocations (e. g. breath-stimulating embrocations). The use of aroma care products takes place in the independent area of responsibility of the senior nursing service. Of course, the consent of the institution and the respective patients must be obtained before aroma care measures can be applied. If the aroma care is carried out by appropriately trained personnel, there are no undesirable side effects and drugs can be saved (even to a greater extent) (especially antidepressants, axiolytics, sleeping pills). Particularly popular are aroma care measures in geriatric care, oncology, palliative care, in the recovery room after operations, in gynaecology and obstetrics.